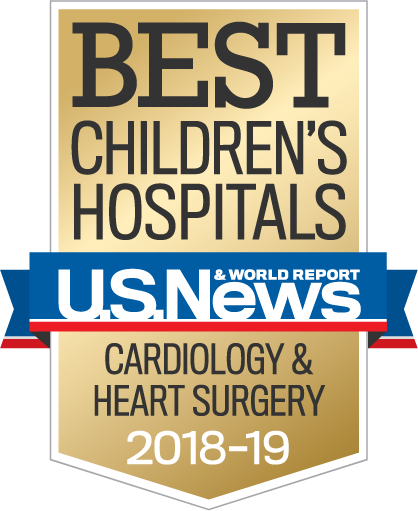 With accreditation from the Intersocietal Accreditation Commission (IAC) in all forms of echocardiography – transthoracic, transesophageal and fetal – the University of Maryland Children's Heart Program's echo lab has expertise no matter what type of echo is required. An echocardiogram is an ultrasound of the heart. An echocardiogram can show all the chambers of heart, the valves of the heart, and the arteries and veins that attach to the heart. It can show the way the blood flows in the heart and the rhythm of the heart. The patient will need to remove their shirt and lay down on the exam table. Stickers are placed on the chest to be hooked up to leads that monitor the heart rhythm. The sonographer, the technician who specializes in doing echocardiograms, will use a transducer to take the pictures of the heart. The transducer is like a special camera. It uses sound waves to create images of the heart. Gel is placed between the transducer and the patient’s chest in order to get the best pictures. The patient may be asked to move into different positions as the sonographer looks at the heart from different views. The echocardiogram takes about 30 minutes to complete. What are reasons to do an echocardiogram? There are many reasons to do an echocardiogram. If there is the possibility that the structure or function of the heart may be abnormal, and echocardiogram will give us that information. Sometimes an echocardiogram is done because of a heart murmur, an abnormal electrocardiogram or an abnormal chest X-ray. There are some genetic disorders or diseases that can go along with heart defects, so an echocardiogram may be done to check for heart defects in these patients. Other diseases may affect the function of the heart, so patients who have sickle cell disease or cancer may need to have an echocardiogram.